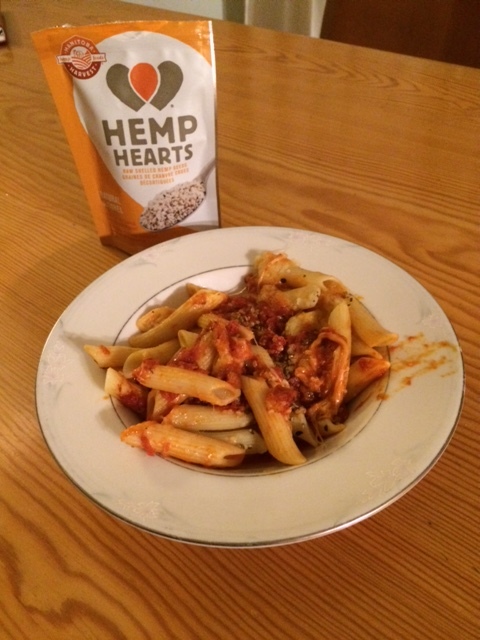 Yesterday, I wrote about Hemp Hearts, produced by Manitoba Harvest. They are an easy and delicious way of adding protein and omegas to your diet – and they taste great! If you missed it, you can read all about them here. One lucky reader from Canada or the United States is able to try a 2 ounce (56 gram) package of Hemp Hearts. Follow @manitobaharvest on Twitter. Leave a comment here, telling me that you did. For extra entries, you may do any of the following. Leave a comment below, telling me what you did. Follow Manitoba Harvest on Instagram. Leave a comment below telling me how you will try Hemp Hearts. Disclaimer: The Hemp Heart Giveaway is sponsored by #manitobaharvest and the #sweatpink community in exchange for a review of Hemp Hearts. The opinions are my own. Getting protein in my diet is a struggle. Don’t get me wrong; I love my meat. But I don’t eat a lot of it and I am not a huge fan of meat alternatives. So when I came across the opportunity to try Manitoba Hemp Hearts, I jumped at it. There are a few things that pulled me towards Hemp Hearts. First, it is a Canadian product. The hemp seeds are grown in Canada and products are manufactured in a hemp-only facility in Manitoba. 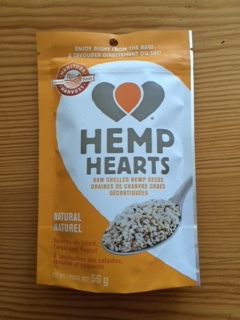 Before I even tried them, I knew that I was heading into a romance between Hemp Hearts and this former-Manitoba girl. 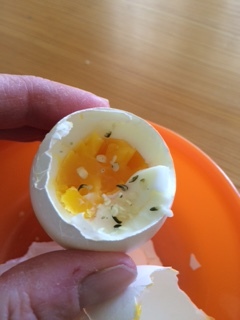 I also love that they are packed with protein: 10 grams of protein and another 10 grams of omegas in a 30 gram serving. Lastly, it’s an easy protein fix. There are lots of recipes that use Hemp Hearts that I can try but, for me, nutrition has to be easy. I love that I can just open the bag and sprinkle them on my salads, pasta (my favorite way to eat these) and even hard boiled eggs. I wish that I had found these last winter when my running accident meant that I had to spend a month living off smoothies. Hemp Hearts add a delicious sesame taste to my food. Yum! Check out their website for other great nutrition ideas. 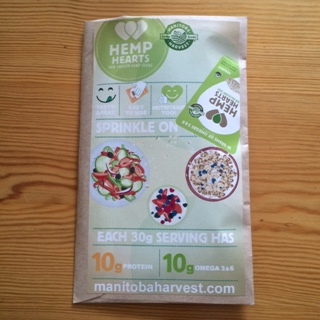 Other great things about Manitoba Harvest Hemp Hearts is they are vegan-friendly and they are non-GMO certified. Often, when I come across great looking products on the web, I end up being disappointed because they are hard to find in stores. This is not the case with Manitoba Harvest; there are oodles of local stores which carry Hemp Hearts and other yummy hemp products. I know that I’ll be heading out soon to pick up some of their Hemp Heart Bites for my mid-afternoon snack at school or Hemp Heart Bars for my son with the teenage bottomless pit.